Six kiddo guests! Yes that's right. 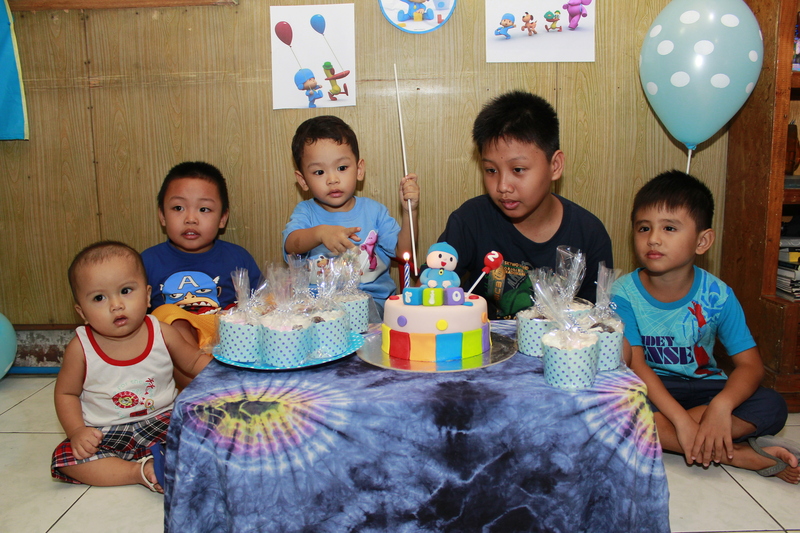 Rio celebrated his birthday with his closest friends/cousins. We really wanted a small and simple party. 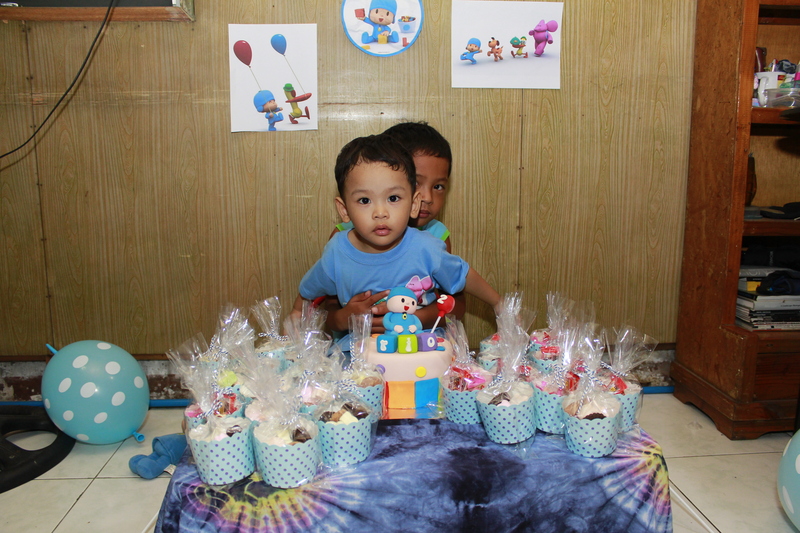 We're happy to have completed all our party essentials - bongga Pocoyo cake (Gel of Swell Sweets also baked Rio's safari themed cake last year), yearly number-photo collage, spaghetti, ice cream and party favors for the kids in our community. 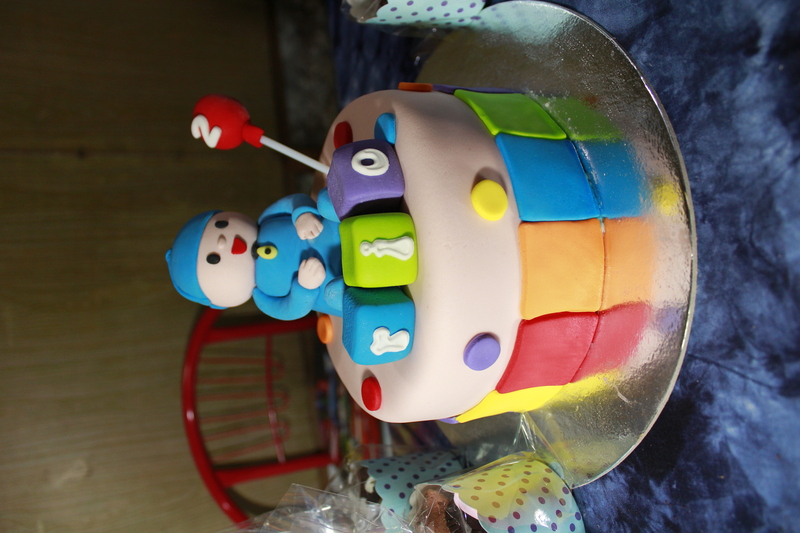 We really hope we can keep up with Swell Sweets' cake rates in the coming years. 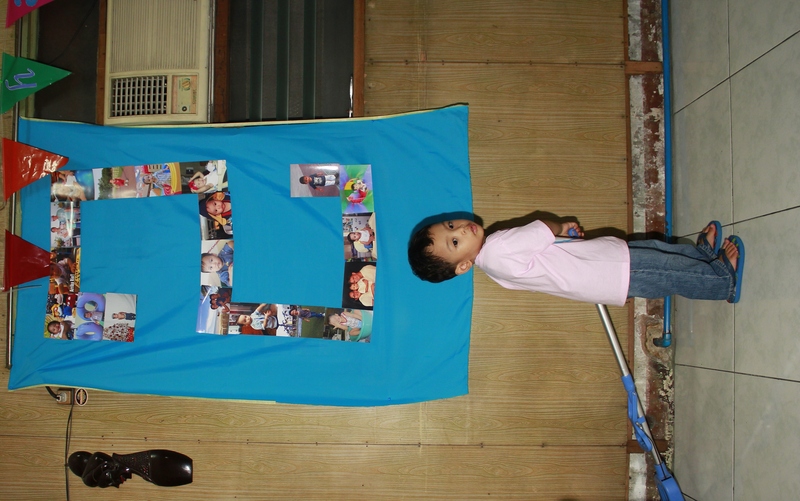 Basta may bonggang cake at number-photo collage, ayos na ang mga next birthdays ni Rio! 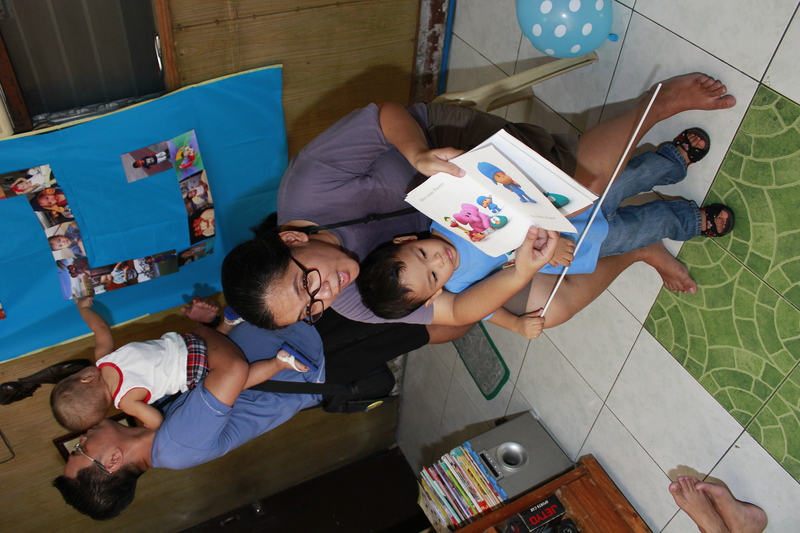 I was inspired by the father and son storytelling session in one of the kiddie parties we attended. I thought it was best for a simple party in a small space too. 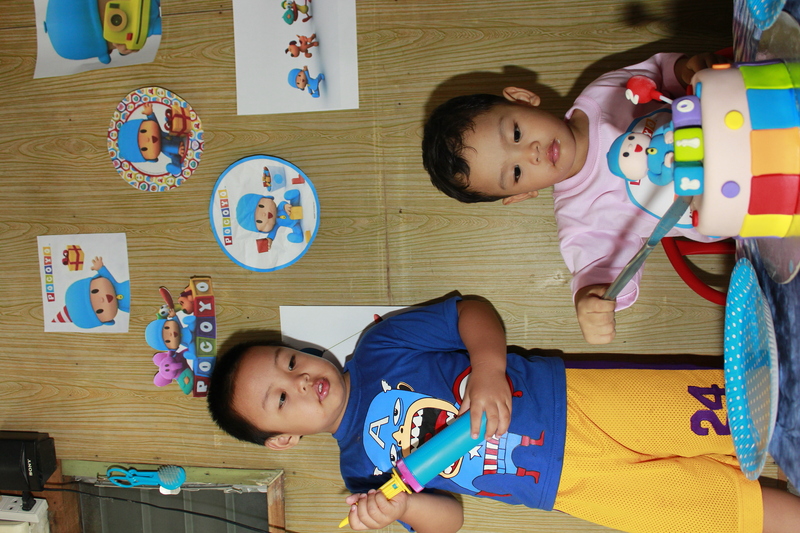 We prepared simple gifts for Rio's Tropang Tramo ( kids in our street). Rio had so much fun giving out his presents to his tropa. 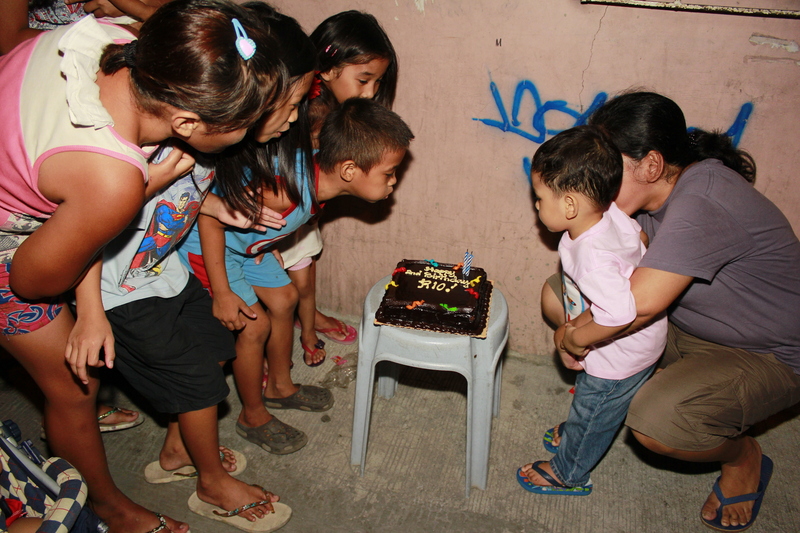 We even had a happy birthday song and blow the candle moment with his tropa! Tip: A simple and small party doesn't mean preps are light and easy. Make sure you gather all the help you can - friends and family to put up a happy and fun birthday party at home. Hooray for small and simple parties at home!